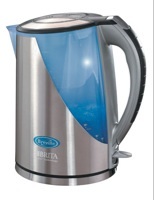 Water boilers have not really caught on in the Coke-and-Starbucks drinking but you can scarcely find a home without these stylish kettles in tea-and-hot-toddy drinking Europe. 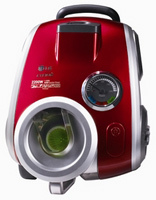 The Sanyo SC-H2000 Bagless Upright Vacuum Cleaner has a 16-inch wide cleaning path with special technology on the front of the vacuum so that the nozzle opens to clean right up to baseboards or any hard surface.A large dust cup is located on the rear of the vacuum for easy access. Other features include two extension wands, a crevice tool and a combination dusting/upholstery tool. Freedom is what you get with Hoover’s Fold Away bagless cleaner. Freedom from assembly because it comes fully assembled, freedom from back pain because it’s lightweight and freedom from storage problems, because the handle folds down and you can store it on shelving or in a closet without tangling your clothing above. This new vacuum cleaner checks in at just 65 decibels, the quietest in its class. Even though it may seem like a wallflower by its soft voice, the vacuum’s performance, creative design, and handling flexibility vault it into the diva class, deserving of a headlining spot. LG has the right idea in their new Cyking range of vacuum cleaners, which talk to you to confirm power cycling and to tell you when the bag needs changing. Eureka’s Boss Smart-Vac Upright vacuum has an air selector switch that lets you direct all suction either deep into carpet or to the hose for above-the-floor cleaning. The Power Paw brush claws up embedded pet hair, so Fido can spend more time inside. The motorized brush lets you go from carpet- to bare floor-cleaning with the flick of a switch. Interesting iHome’s iH5 iPod dock alarm clock with AM/FM radio. Do you like it? The SteamVac Duo converts from an upright to portable mode easily, so you can carry it form room to room in your home, even up and down stairs. The 17-pound steam cleaner comes with no assembly required and with attachments such as a powered hand tool and an upholstery tool, in addition to a bottle of stain cleaner and a 16-ounce bottle of carpet/upholstery detergent. 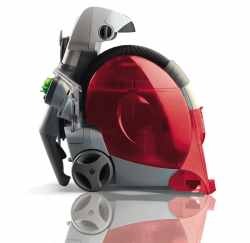 The Hoover SteamVac Spot deep cleaner has a compact size, powerful suction and hand tool. 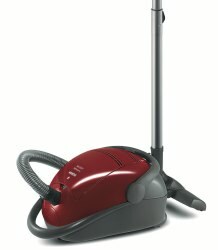 The adjustable handle is up, ready to deep-clean an entire room or other dirt in high-traffic areas. With the handle down, it’s a compact, portable deep cleaner for cleaning stairs or upholstered furniture, or inside your car. 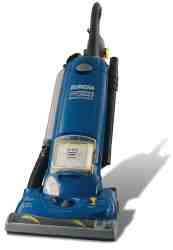 Vacuum and deep clean your carpet with 2 simple steps: regular vacuuming and routine deep cleaning. Since it comes fully assembled right out of the box, you just add water and cleaning solution.